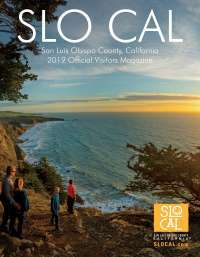 San Luis Obispo County, CA (January 14, 2016) - Visit San Luis Obispo County, the non-profit, destination marketing organization for San Luis Obispo County, has announced the hiring of a new Director of Marketing, Becky Singh. With more than 15 years of strategic marketing and communications experience, Singh will be instrumental in serving the marketing and research initiatives set forth by the Tourism Marketing District. Her role will oversee all marketing operations for Visit San Luis Obispo County including strategic formation of promotional campaigns, media spends and county-wide tourism research efforts. She will additionally oversee all social media, communications and public relations messaging. As the Director of Marketing for Visit San Luis Obispo County, Singh will work closely with the Visit San Luis Obispo County Marketing Committee and marketing agency to strategically place advertising and media in feeder markets like Los Angeles, the San Francisco Bay Area, the Central Valley, Phoenix and Las Vegas. She is also working on the request for proposal for two research campaigns including a consumer demographic and share of wallet study in addition to a feeder market awareness study. Both are expected to be completed late Spring 2016. Singh and her family live in South County, where she also serves on the board of directors for the Lucia Mar Foundation for Innovation, and Pale Kai Outrigger Club in Avila Beach.